​The Society is proposing a five day (four-night) visit to Paris from Thursday 29 September to Monday 3 October 2016. We have been able to arrange a private lunch at the Sénat restaurant followed by a guided tour of the Palais du Luxembourg. 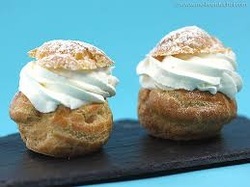 We will also visit the Chateau de Chantilly and the Renaissance Chateau d’Ecouen. Day 1 We shall be travelling by Eurostar from St Pancras Station to Paris Gare du Nord. 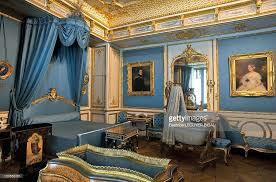 We will then transfer to the 4* Residhome Paris Opera Aparthotel for a four night stay. We shall be meeting some members of the Association France- Grande-Bretagne for dinner on our first evening. 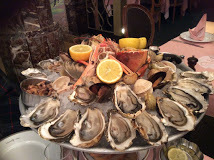 We also have dinner included on our final evening at the Café Le Procope. The remaining two nights re on bed and breakfast basis. This does not include insurance which can be arranged by our Travel agency at a cost of £29.00 per person. The hotel and the Eurostar to be confirmed. ​ Day 2 Our guided tour of Paris today incorporates a visit to Sainte Chapelle, a magnificent example of gothic architecture. Known for having once housed Christ’s Crown of Thorns, it has spectacular stained glass windows. 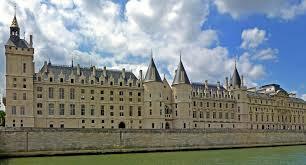 We then visit The Conciergerie, a splendid Gothic palace. The kings of France abandoned the palace at the end of the 14th century to settle in the Louvre and in Vincennes. It then took on a judicial role, and part of the palace was converted into prison cells. Its most famous prisoner was Marie-Antoinette. This afternoon we visit the Foundation Louis Vuitton. Opened in 2014 by the French president Franҫois Hollande and designed by Frank Gehry, the museum is home to a permanent collection, temporary exhibits and artistic commissions. The visit will be followed by a tea at a private home. This evening (subject to availability) you may choose to join our optional excursion to a classical concert at Sainte Chapelle or Café Theatre. Day 3 This morning we visit Château de Chantilly for a guided tour, comprising of the Petit Château that was built around 1560 for Anne de Montmorency, and the Grand Château, destroyed during the French Revolution and rebuilt in the 1870s. Andre Le Notre’s majestic formal water gardens balance the Chateau and blend in so well with the wooded countryside. 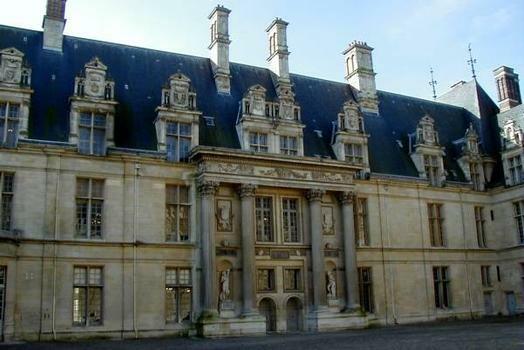 This afternoon we visit the National Museum of the Renaissance at Château d’Ecouen. ​Day 4 This morning we enjoy an audio guided tour at the Jacquemart-André Museum. This mansion was built at the end of the 19th century in Haussmann’s redesigned Paris, and visitors can explore rooms decorated and furnished in the period style. The afternoon is at leisure in Paris and we make our own way back to the hotel this afternoon. This evening we enjoy an included set three course dinner with a limited volume of wine at Café Le Procope. ​Day 5 We spend some time at leisure in Paris this morning or talk at the British Embassy. After lunch in the Senat Restaurant we visit the Palais du Luxembourg . Built in 1625, the palace was a residence for the Royal Family before it was turned into a prison during the French Revolution. In 1800, Napoléon Bonaparte employed Jean Chalgrin to transform the palace and the senators took office in 1804. We then transfer by coach to Paris Gare du Nord for our Eurostar train back to London St Pancras Station in standard class coaches.